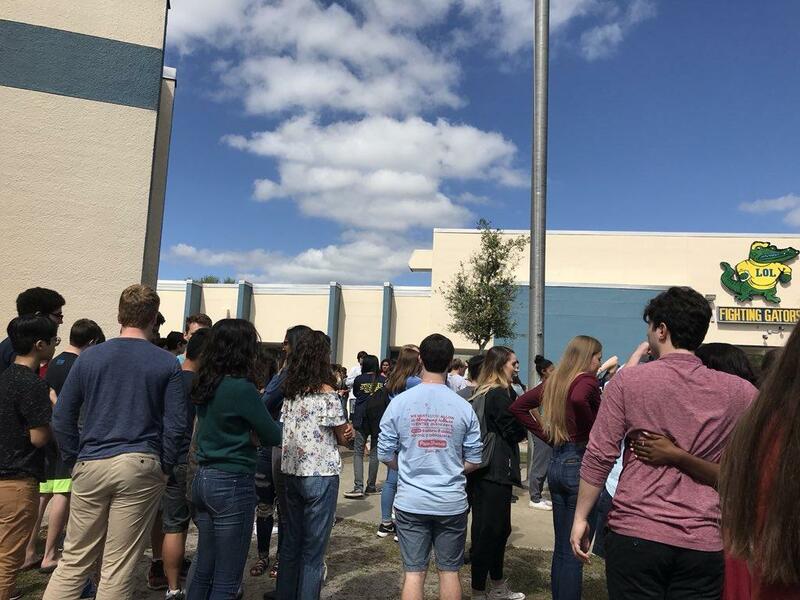 Students at Land O' Lakes High School in Pasco County walked out of class on Wednesday to push for stricter gun control. Many students in Pinellas, Hillsborough and Pasco counties remained out of class for 17 minutes, one minute for each person killed at Marjory Stoneman Douglas High School. WUSF's Tim Fanning reports that Tampa Bay students at local public and private schools are pushing for stricter gun laws and showing solidarity for the victims of last week's shooting at a high school in Parkland. Leona Rosado, a 10th grader at Land O’ Lakes High School in Pasco County, was one of about 60 students who marched to the campus flagpole. Over 400 students held a vigil at Tampa Catholic High School outside the campus chapel and called for change. They prayed and wrote the names of the Parkland victims in chalk. Student organizer Madison Ramberac, 17, said she was driven to act because of her beliefs. "Even though it's not affecting us, we're supposed to be advocating for the people it is affecting,” she said. “That's our whole faith. If we are not living it out through action, then what's the point?" Pinellas and Polk school officials drafted guidance for principals to designate safe, secure places on school property. Linda Cobbe, Pasco County spokeswoman, said at least six schools participated in the walk-out. She said the district approves of the demonstrations, as long as it doesn’t interfere with class time. In Manatee County, school spokesman Mike Barber said they're so busy dealing with at least 10 threats of violence this week, and haven't had time to plan for walk-outs. The Women’s March’s Youth EMPOWER group is planning a national school walk-out on March 14. Organizers are encouraging teachers, students, administrators and parents to walk out for 17 minutes. Sarasota, Pasco, Hillsborough, Pinellas and Polk school officials all said they are preparing for the demonstration. “We want to work with our students and student government to make sure that they are peaceful and don’t interfere with the learning process,” Cobbe said. Ramberac, the student organizer at Tampa Catholic, said she was inspired by similar calls for action across the country. Ramberac thinks she and other students made a difference. “What’s different this time is that it’s student-based, and people seem to be listening now,” she said. Peter and two other freshman cadets, Martin Duque and Alaina Petty, both 14, were also awarded the Medal of Heroism — the highest medal given to Junior Army Reserve Officers' Training Corps cadets. 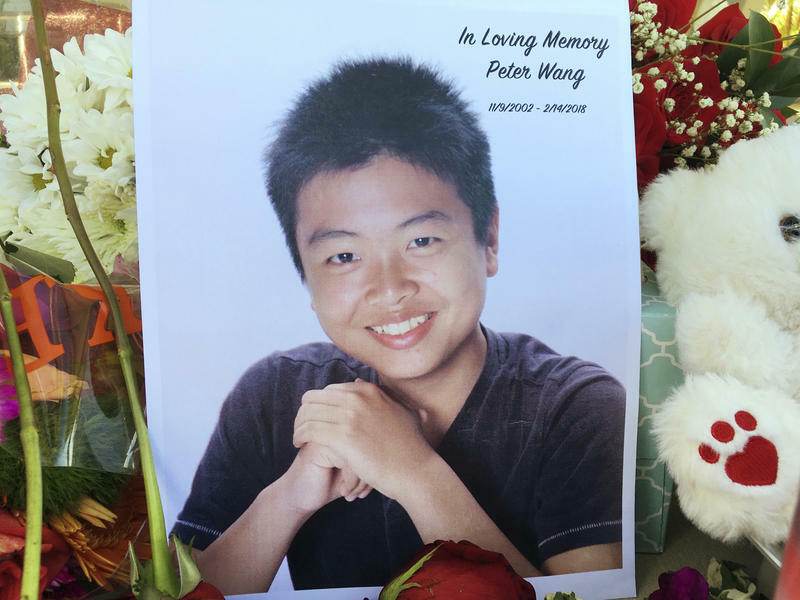 Classmates and family said that Peter dreamed of attending West Point. The admission to the academy came on the same day as his funeral.